This is the first rubber to feature Butterfly’s new “Spring Sponge”. Spring Sponge feels hard yet its new technology allows it to hold the ball on the racket longer. Tenergy 05 combines this new explosive sponge with a new tensioned top-sheet with maximum surface grip. The result is a rubber that produces massive amounts of spin on serves and topspin drives. Tenergy is also the fastest most explosive rubber in our line all without the use of any speed-glues or tuning. Tenergy will keep its speed throughout the life of the rubber without need for any special treatments. Finally a rubber that will make you feel like you are playing in the days of the 38 mm ball again! I just played with Tenergy 5 for the first time this evening – in terms of standard I am a US 2200 level player with a significantly better forehand than backhand; maybe a 2000 level shot on backhand and 2300+ on forehand and an evil high toss forehand service; with many variations of speed, spin and placement. Serving well is the key to my game being at its best. On my forehand, over the last 12 months I have gone from Bryce FX using speed glue, to Bryce SpeedFX with optimizer, to Sriver G2 with optimizer and today for the first time Tenergy without any glue or any optimizer. Bryce FX with glue is an excellent combination, but I wanted to give up the glue ahead of the ban. Its main downside is that when overglued its hard to generate heavy spin services and given a glue ban a replacement was needed. Sriver G2 with optimizer is another great combination BUT when playing against heavily glued opponent, I felt like I was working twice as hard as my opponent to generate the same spin and speed. I have a very fast action on my forehand shot and it is very consitent with Sriver G2. So I was hoping Tenergy could be the solution to not using expanders. First impressions – bear in mind that it takes a minimum of a few weeks to fully adjust to a change of rubber; and slight modifications to technique may be required to get the most out of it. Service: rubber generates unbelievable spin on service it took appromixately 60 minutes of practice match play to adjust to the rubber. Service return: when pushing with chop the return stays low, attempting to touch the ball just over the net resulted in the ball popping upwards for my opponents to put away – this is not good. With G2 I was able to touch the ball softly over the net to prevent my opponenet from initiating an agressive loop. Loops and drives: This could be a timing problem adjusting to the rubber. Sometimes the loops and drive generated point winning speed and spin but on several occasions my opponents were able to depatch the loop or drive with less effort than if the shot was hit with the G2 combination. This was disappointing – I had connected to the ball with a fast arm/wrist action only to produce a slow ball without massive rotation. Another point on my loops and drive – I made many many more mistakes popping the ball off the end of the table than I typically would have with the G2. I will stick with it for another 3-4 session and repost an update in due course. Main concern at the moment is the timing required to ensure the loops are consitently fast and spinney enough to give good player a problematic ball as opposed to a ball which can be despatched at will. Update 1: look at the wear at the bottom of the rubber after 1 session – that said this was worse with Bryce Speed and about the same with G2 so it appears the rubber is as durable as G2. Regarding the short drop return, you may want to try to add a little spin with the wrist on contact. Make sure you are taking the ball early, just after the bounce, and chop a little downward. You indicated that some of your loop strokes are very good and some, not so good. This is probably just a matter of getting used to how long the sponge holds the ball. I would suggest to not over think your stroke but just concentrating on how it “feels” you get when you make a good stroke. Keep trying to replicate that feel and let your muscles learn the timing. This is a totally new type of rubber and will take a little while for you to adjust. One of my students (2400) has just returned from Germany where he has been playing in the league this year. He tells me that Tenergy has generated a lot of excitement with the higher players in his area. Update 3: 2nd outing earlier this evening – consistency with rubber improving and easily able to compete against tuned Bryce FX in terms of speed and spin. Touch shots still need improvement, but what is lost is this area is made up for in other ways. The rubber is slowly growing on me. Was playing above my average standard with the Tenergy today! Update 4: After 12-14 hours of play I am playing no worse with the Tenergy than Sriver G2 + expander. IF I can improve touch then my game with be slightly improved. Grid iron tests coming up, a 4 star tournament in Atlanta, followed by the US open and finally the state championships. Will report back after these events. TENERGY is a revolutionary reversed rubber with built-in power, created by a new sponge called Spring Sponge, which is combined with the unique High Tension technology, developed by BUTTERFLY, provides a totally new sensation when striking the ball. 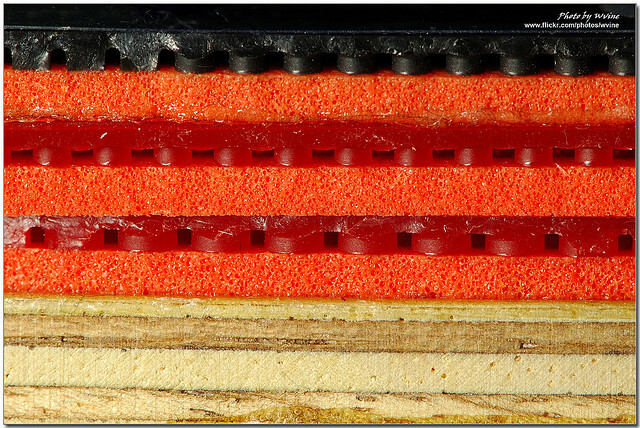 Spring Sponge is a totally new sponge created by BUTTERFLY, being very different to existing rubbers. The most notable feature is a sense of being able to hold the ball on the racket; this has been made possible by the innovative composition of the material used, which produces a spring loaded effect when contact is made with the ball. The result is that a player can control spin, speed and direction as required; the sponge will make you feel you are in total control. It has taken ten years to develop Spring Sponge into a marketable product. Compared with existing table tennis rubbers, Spring Sponge contracts differently and it was very difficult to produce a product that was consistently of high standard. Furthermore, the difference in quality between the trial production and mass production required repeated experiments. 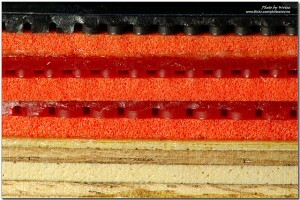 The opening of the BUTTERFLY TECHNICAL CENTRE, where detailed research in all stages of product development is available, enabled Spring Sponge with its unique red colour to be produced. The colour of the sponge, Tenergy Red, symbolizes the latest technology from BUTTERFLY and is dedication to the advancement of table tennis. High Tension rubbers, developed by the unique technological advancement designed by BUTTERFLY, are excellent in quality; they are hard wearing as well as being most effective for hitting a table tennis ball. The basic principle is that the more tension is applied to the rubber, the more often the surface tears; the surface can be damaged and thus becomes unusable. 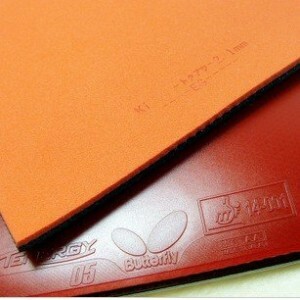 However, this is not the case with the High Tension rubbers produced by BUTTERFLY. They have both high performance quality and the stronger surface that will not be easily damaged through intense rallies. Energy-Built-In technology is the secret of their popularity and puts the product ahead of any competitors. Since BRYCE was released in 1997, High Tension rubbers have been used by many players who have secured major titles both inside and outside Japan; this includes Olympic and World titles. High Tension rubbers have a great deal of support from many top players who are delighted with the exquisite high performance and high quality that make the product different from other rubbers in the Tension Series category. The High Tension rubbers have certainly made their mark in the history of table tennis equipment. 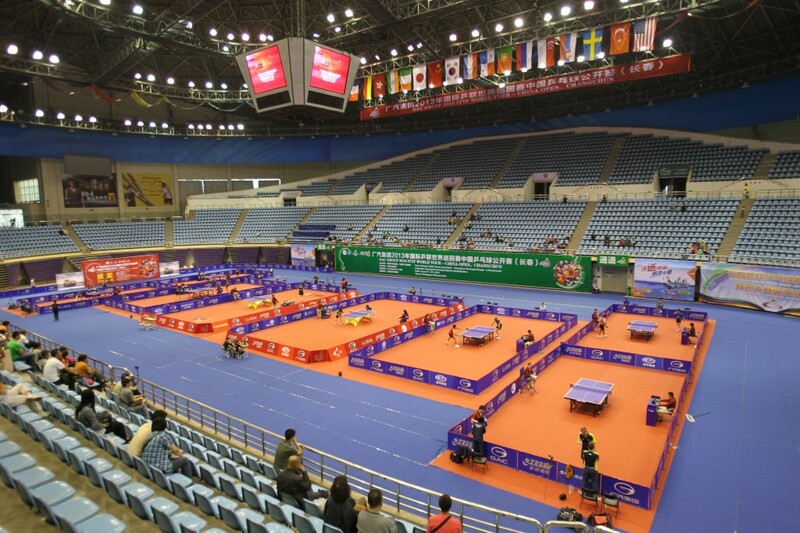 The development of High Tension rubbers is still in progress and through the use of current technology BRYCE SPEED and TENERGY have been created, enabling players to succeed at the very highest level as our company strives to make table tennis an attractive and clean sport. Which MORE do you expect? Do you want to play with more speed? Do you want to impart more spin on the ball? Do you want to control your play with more ease? Do you want to have more fun playing table tennis? Do you want to improve more? TENERGY gives you such MOREs. TENERGY series reversed rubbers are produced by combining the new generation Spring Sponge with the High Tension technology. 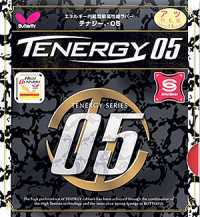 The name of TENERGY 05 arose from the development code No. 05 that was found to be the most effective for imparting spin on a ball in a series of mechanical trials and tests carried out by players. The rubber enables a player to impart a great deal of spin on a ball when serving and when executing topspin strokes. TENERGY 05 is a combination of a High Tension rubber and a surface of very high grip. The rubber enables high performance play based mainly on a wide variety of spins. “Spring Sponge” is the latest innovation from BUTTERFLY; you have the feeling that the rubber grips the ball and holds it on the racket longer. It is a sensation that is totally different from other rubbers. A new dimension has been realised, the product being a result of a unique mix of raw materials plus originality in the form and size of the air bubbles. The Research & Development Department of BUTTERFLY has spent ten years involved in detailed research to produce “Spring Sponge”; a major stride in achieving the goal being made possible when the BUTTERFLY Technical Centre was opened in April 2006. Advanced research was made possible and enabled difficulties to be overcome; the effect was the successful production of “Spring Sponge”. Coloured red and thus named “Tenergy Red”, the new technology utilised by BUTTERFLY, underlines the company’s desire to lead the table tennis world.